I established Oak Lawn Motors in 1973 right here in this very building at 4320 W. 95th Street. I have 4 beautiful and talented daughters – Elizabeth, Victoria, Christina, and Diana AND 7 grandchildren I’d give the world for – Tommy, Lucia, Josephine, Carmela, Marshall, Antonina and Pearl. My hobbies: Fishing, spending time with the grandchildren, watching the Blackhawks. Favorite Food: PALERMO’s on 95th! 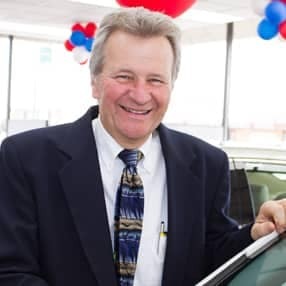 I have been in the car business for 35 years. I have two children. My first car was a 1970 Pontiac Tempest. My favorite vehicle we offer here at Oak Lawn Toyota is The 4Runner. 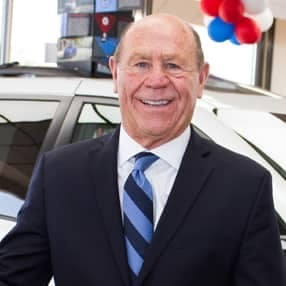 I’ve been in the car business for 39 years…7 years as a porter for parts and service and 32 years in sales and sales management. 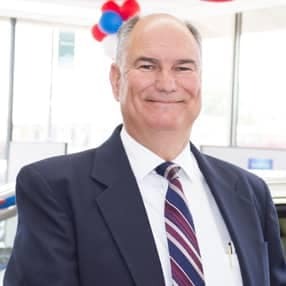 I’ve been with Oak Lawn Toyota for 28 years. I am married with two daughters, ages 23 and 17. My first car was a 1973 Oldsmobile Omega. 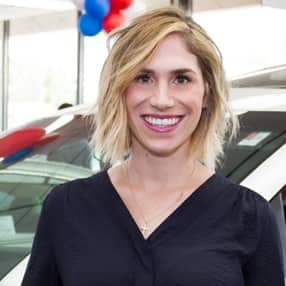 My favorite vehicle we sell here at Oak Lawn Toyota is a Toyota Sienna Minivan…it’s a great ride, comfortable, roomy and a great value for your money! My hobbies include golf, boating and water sports. My favorite movie is the Godfather Part 1 and 2. My favorite band is Pink Floyd and Bruce Springstein. I love to BBQ…anything from ribs, to chicken and chops! My hidden talent is that I can pull my finger apart in 2 pieces :)! 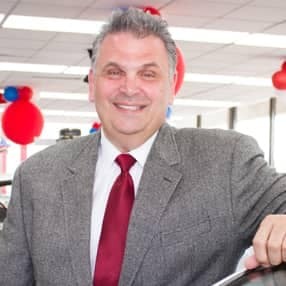 I have been in the car business for 25 years. I am married and have a very ambitious 12 year old daughter and a dog. 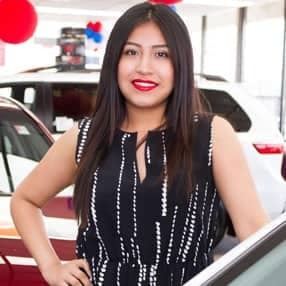 My first car was a Toyota Corolla My favorite vehicle we offer here at Oak Lawn Toyota is the New Sienna because of the specials we have on them. 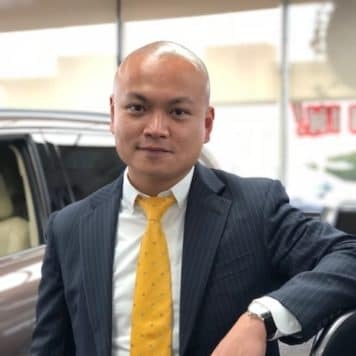 Something interesting about me is I sold over 400 cars in one year. I am one of the best Ping Pong players in Illinois. My favorite vehicle we offer and why – 2014 Rav4 AWD is the “Perfect Size” and great in the snow! Favorite food – Pasta, Pizza, Pasta Salad, Pasta Pizza, Did I say PASTA??! One interesting fact about myself/my life – Doing the right thing is not always easy, but it speaks volume about one’s character! 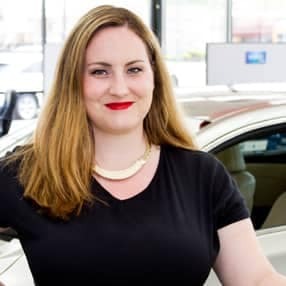 I have been in the car business for seven years. My first car was a 1993 Toyota Corolla. My favorite vehicle we offer here at Oak Lawn Toyota is the 4Runner because while it is rugged and a great work truck it is also high luxury inside. 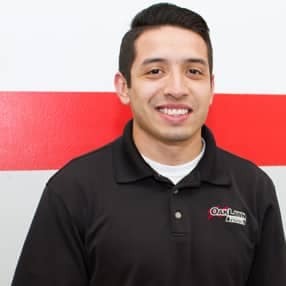 Most people would be surprised to know I visited Oak Lawn Toyota when I was in the second grade on a field trip and now I am a proud employee of the Colosimos. Hobbies: watching soccer and drinking craft beer. 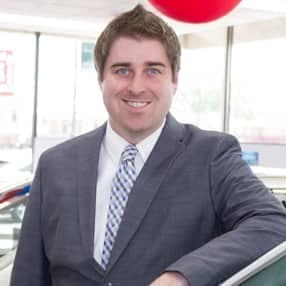 I have been in and out of the car business my whole life, but this year I started working as the Inventory Manager at Oak Lawn Toyota. 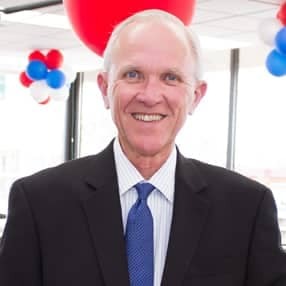 I am very proud to work here at Oak Lawn Toyota and love how many employees have been here for so many years. I have a wonderful husband Mike, two kitties named Zags and Ags, and a dog name Lucca. I also have one charming nephew and two beautiful nieces (Tommy, Lulu and Carmela). I love the band Coldplay, but seriously love almost every show on Bravo. I also enjoy cooking and eating outside whenever possible. My first car was a Red Toyota Corolla, and I currently drive a white Rav4. I love the style of the new Rav4! Family: Married to my husband, Jason with three children Brooklyn (11), Maximus (9) and Addison (6). My hobbies: Baking, shopping and spending time with my family. 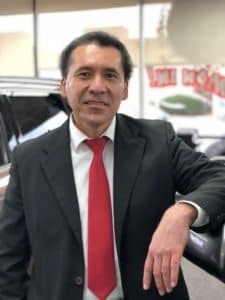 I have been in the car business for 18 years. I am married to Tammy and have 4 children: Donny, Danny, Taylor and Tyler. 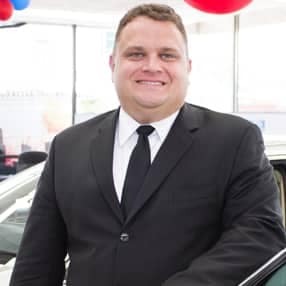 My first car was a Ford LTD. My favorite vehicle we offer here at Oak Lawn Toyota is the Avalon because its classy. 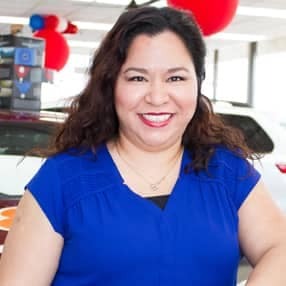 I’ve been in the car business my whole life, but I’ve been working full-time at Oak Lawn Toyota as the Internet Manager since August, 2006. I am married to my wonderful husband, DJ and we have a beautiful daughter, Carmela. My first car was a Chevrolet Blazer! 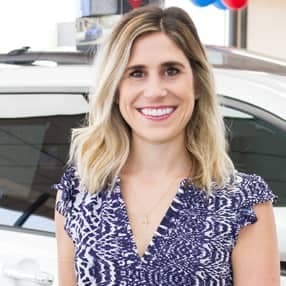 My favorite vehicle we offer here at Oak Lawn Toyota is a Toyota Sienna because it drives like a luxury automobile, every door opens with a button, and it is so spacious! I love snow skiing, photography, speaking Italian, eating and cooking Italian food, drinking wine, and spending time with my family. My favorite movie is The Godfather Part II. My favorite band is Wilco. My favorite television show is Breaking Bad, The Real Housewives of Orange County, New Jersey, and Beverly Hills. My favorite food is Fresh Tomato “Summer Sauce” with Spaghetti. One interesting fact about myself is that I LOVE CATS! I grew up with two cats, Taffy & Tiger, who lived over 20 years, and I now have a cat, Grado, who I found in a gutter and has now become a part of our family. How long I’ve been in the car business: Since birth. 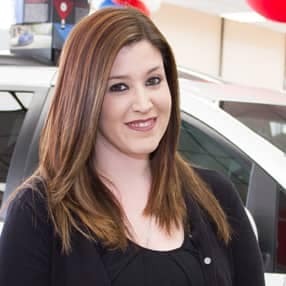 How long I’ve been with Oak Lawn Toyota: I grew up on Oak Lawn Toyota’s showroom floor. My sisters (Elizabeth Phelps, Victoria Hampton, Diana Huber) and I would go to work with our dad (Ronnie Colosimo) on Saturdays. My earliest memories at Oak Lawn Toyota include answering the phones and counting change for the cashier. Family: I am the third daughter of Ronnie Colosimo. I live in Chicago with my precious pup Riggs. My favorite vehicle we offer and why: The Toyota 4Runner is the best vehicle in our lineup. It has a spacious interior and cargo area; it is high up off the ground which makes for a pleasant driving experience; and it’s a great-looking SUV. My hobbies: Long walks exploring the city of Chicago with my dog, cooking, snow skiing, and practicing yoga/pilates. One interesting fact about myself/my life: Even though I work in the car business today, I graduated college with a degree in Theatre Arts as a performer. Hidden talent: My shoulders are double jointed and I can execute the most perfect human jump rope with my arms. Family: I just got married, I have three sisters and puppy. My favorite vehicle we offer and why: RAV4, I like how it drives and the new body style! One interesting fact about myself/my life: I have been to 5/7 continents. Hidden talent: I can quote most of my favorite films by heart. 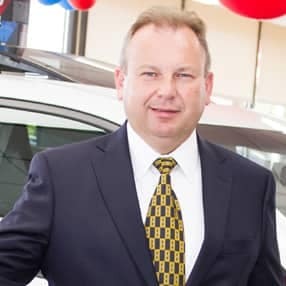 I have been in the car business for 5 years. My first car was a Trans Am. 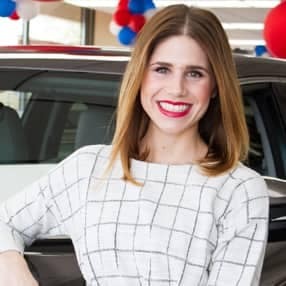 My favorite vehicle we offer here at Oak Lawn Toyota is the Camry because I love the new redesign. Something interesting about me is I can name all the Presidents in order! Hobbies: hosting Bar Bingo and cooking. My favorite vehicle we offer and why: 4Runner, because they are spacious, luxurious and fun to drive! One interesting fact about myself/my life: I am the go to person when it comes to finding travel deals! Family: I have a lovely husband and a huge baby! My favorite vehicle we offer and why: Tundra- just look at the monster! My hobbies: dancing and shopping! 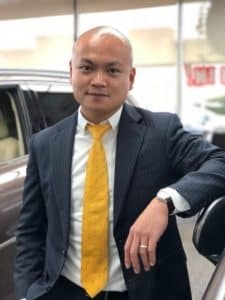 I have been in the car business for 6 months. My first car was a 2000 Kia Optima. My favorite vehicle we offer here at Oak Lawn Toyota is the Camry Hybrid for the amazing space and gas mileage. Something interesting about me is I was born on my parents vacation. Hobbies: Reading, board games, random outside adventures. Hometown: Evergreen Park, Illinois; where the sun never sets, it’s always sunny! 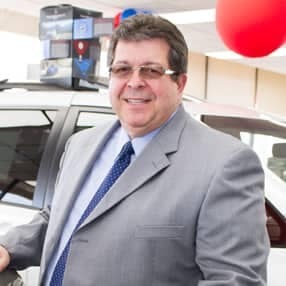 I have been in the car business for 35 years. 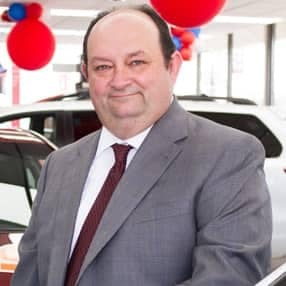 I’ve been at Oak Lawn Toyota for 32 years. 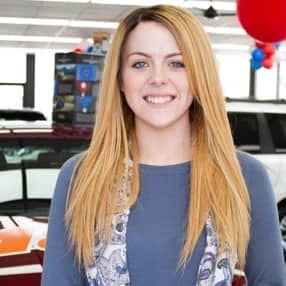 When I graduated from college, I started selling cars, and I thought it was only going to be temporary. Not too many people leave Oak Lawn Toyota :). Ronnie Colosimo is a wonderful man to work with and for. He has respect for ALL of his employees. I have been married for 30 years. I have a beautiful daughter, and a three-legged rescue dog, three cats, and a 24 year-old “shark”. My first car was a 1967 Ford Mustang Coupe in Maroon. My favorite car we sell here at Oak Lawn Toyota is a Toyota Tacoma. My hobbies are carpentry and stained glass artistry. My favorite movie is The Great Escape. My favorite television show is The Rockford Files. I enjoy eating ANYTHING from Palermo’s Restaurant on 95th Street here in Oak Lawn. An interest fact about my life is that Toyota actually brought my wife and I together. My wife, Sheila, bought a car from me in 1981, a Corolla…a stick shift Corolla…we married in 1984! When my daughter Grace was born, the first shirt she wore in the hospital said “TOYOTA TOT”! One of my hidden talents is that I am a “Dancing Machine”…especially during my college days at Western Illinois University. 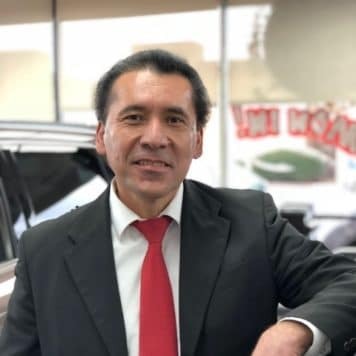 I have been in the car business for 18 years. I am married. My first car was a Chevette. Most people would be surprised to know I wrote KGB agent under the special skills section of this form. I’m obviously not a great spy since I tried unsuccessfully to cover it up with whiteout. 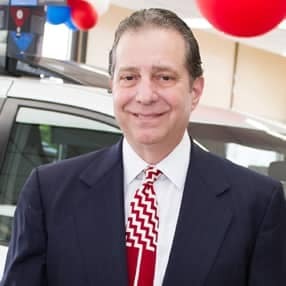 I have been in the car business for 32 years. I am married. My first car was a 1963 Ford Fairlane. My favorite vehicle we offer here at Oak Lawn Toyota is the Avalon because it is classic and classy. 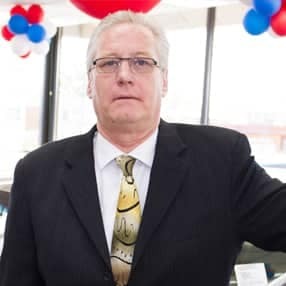 I have been in the car business for 24 years. I am Married. My first car was a Toyota. My favorite vehicle we offer here at Oak Lawn Toyota is the Avalon. 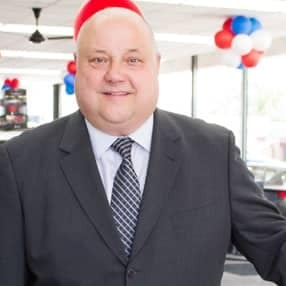 I have been in the car business since October 2018. I have been married for 32 years, 2 beautiful grown daughters who are wonderful moms to my 7 grandchildren. My first car was a Trans Am. My favorite vehicle we offer here at Oak Lawn Toyota is the Highlander because of the perfect space and size with the latest technology. Something interesting about me is I’ve been working since I was 14! My motto has always been Love, Laugh and Be Happy. I also believe you need to dance, sing and pray! Playing with my grandchildren is the most fun I can ever have! All my kids are my pride and joy! Hobbies: Poker, bowling, softball games, baseball, hockey, reading and writing, ring around the rosie and tickle fights! Favorite Television Show: Grey’s Anatomy, Blacklist, This is Us, American Idol and too many more to list! Family: Mom, Wife and two Kids. My favorite vehicle we offer and why: The 2018 Camry is fantastic! My hobbies: Photography and Reading. One interesting fact about myself/my life: I’m pretty boring most of the time. Hidden Talent: If I knew what my hidden talent was, I wouldn’t let it be hidden.